This pose stretches the abdomen and helps in nutrient absorption. It also helps improve circulation in the thyroid and pituitary glands. This position strengthens the back and tones the abdominals. It is also beneficial to the abdominal organs, especially the digestive organs. It also tones the kidneys. Another benefit that is very relevant to weight gain, is that it stimulates appetite and relieves flatulence and constipation. This position has a positive effect on enzyme producing organs, the liver, pancreas, and also the small intestine and the big intestine. This pose stretches the stomach muscles and the back muscles. It also increases the efficiency of the internal organs of the abdomen. This pose helps tone and stretch the back muscles, the legs and the abdominal muscles. It improves the function of the thyroid, parathyroid and pituitary glands. All of the other endocrine glands are regulated by these main glands and so the overall function of the endocrine system is improved. This results in the improved functioning of all the systems of the body. This pose also activates digestion and helps with constipation, improves the efficiency of all the abdominal organs such as the spleen, pancreas, liver and kidneys. The breathing movements of the diaphragm help to massage the abdominal organs. This pose also activates the thyroid gland and thymus gland, stimulating metabolism and immunity. So this pose is very beneficial for people who want to gain weight and improve the functioning of their digestive system. 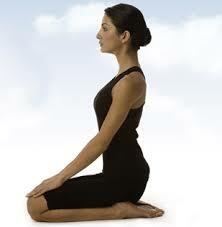 This pose improves the function of the thyroid, parathyroid and pituitary glands and also helps with metabolism. All these are crucial in helping with gaining weight and improving the functioning of the digestive system. This pose is good for meditation and relaxation. This pose also helps in digestion. 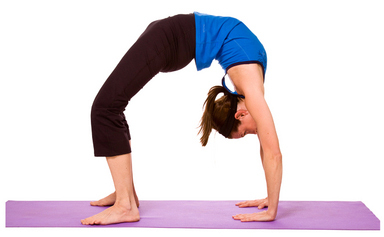 This pose is good for alleviating assorted gastric problems, including indigestion and constipation. This pose also helps with digestion. This pose helps with relaxation and rejuvenation. This pose stretches your abdominal and back muscles and massages your digestive organs. This pose helps with digestions. Among other interesting effects is that it helps improve posture and also flat feet. A regular practicing of these techniques (as well as other yoga positions) and a healthy lifestyle and a good diet can go a long way in achieving your goals, whether they are gaining weight or losing weight or a general improvement in your health. Great post! I really love doing yoga stretches because the stretches in Yoga help us to achieve flexibility. Flexibility enhances our posture. It also makes us less at risk with having injuries for it improves our overall physical performance and reduce muscle and tissue strains. It also relieves stress by releasing the tension that has built up in our muscles.